Field Poppies. 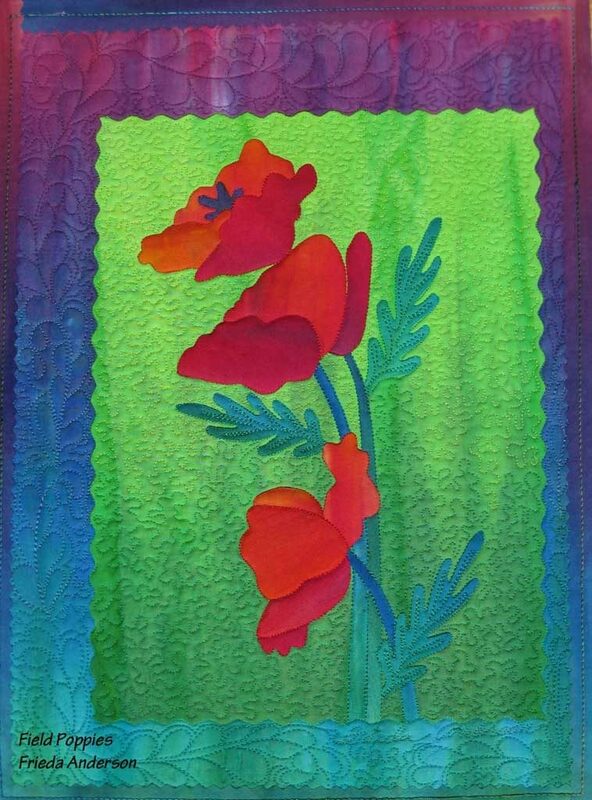 In this fusing class Frieda will teach you new easy ways to make this vibrant quilt. Using easy transfer techniques and raw edge fusing you will achieve beautiful effects. This is the quilt you want hanging on your wall to cheer you through the winter. 1 yard of fabric=1/2 yard of rainbow stripe, 1/4 yard of red/orange, 1/8 yard of green/blue.